The Ministry of Cannabis isn't a Cult, But They Should Be! Bow down & worship the sacred herb with the Ministry of Cannabis! These dudes are on a mission to protect cannabis seeds for posterity by gathering the best genetics from the four corners of the globe. In the meantime, they're more than willing to share their finds with their adoring followers. Get Your Ministry of Cannabis Regular Seeds Today! Buy Ministry of Cannabis Regular Seeds! The Ministry of Cannabis Offers an International Selection of Super Seeds! By combining their skills, the super star breeders at the Ministry of Cannabis have developed not only classics like Northern Lights, they have also developed many new and ground breaking strains like Angelmatic, Zensation and the incredible Moroccan Gold. You’re going to love them all. 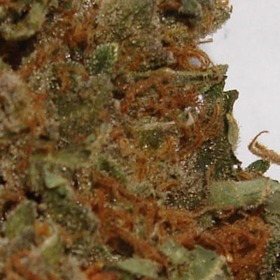 Buy Ministry of Cannabis Regular Seeds from The Rhino Now - The Prices are Unbelievable!